Dance. 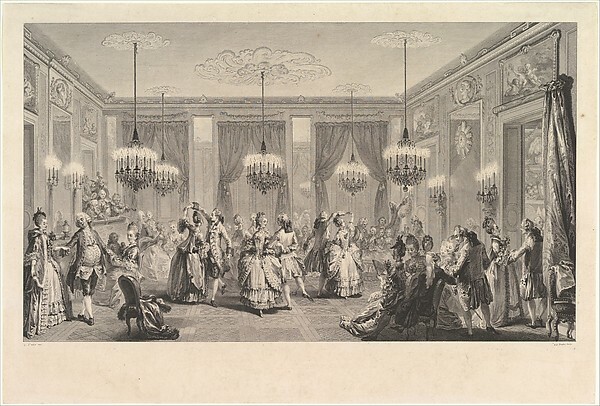 - "One dances no more at the Opera ball; one no longer runs there; one only looks for confusion there: one walks on one's feet; one is smothered: here is the great pleasure: but no contre-danses. "Dancing is so perfected today that it is necessary to dance with a marked superiority to participate. 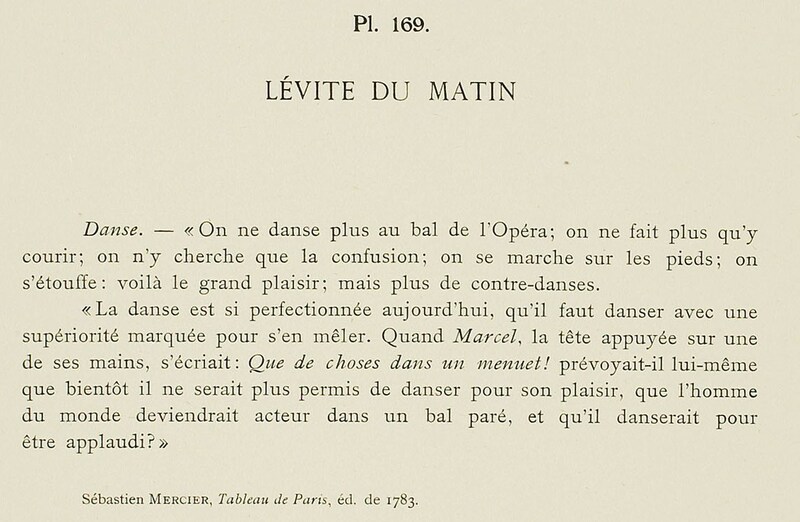 When Marcel, his head supported on one of his hands, wrote: What things in a minuet! 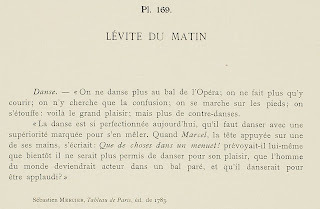 did he himself anticipate that soon it would no longer be permitted to dance for one's own pleasure, that the man of the world would become an actor in a bal paré,** and that he would dance for applause?" * The Carmelites are a Catholic order dating back to the 13th century, who traditionally wear brown. ** I'm not quite sure how to translate this one - I know that paré frequently means "dressed" in the sense of "fully-dressed" or "dressed to be seen". 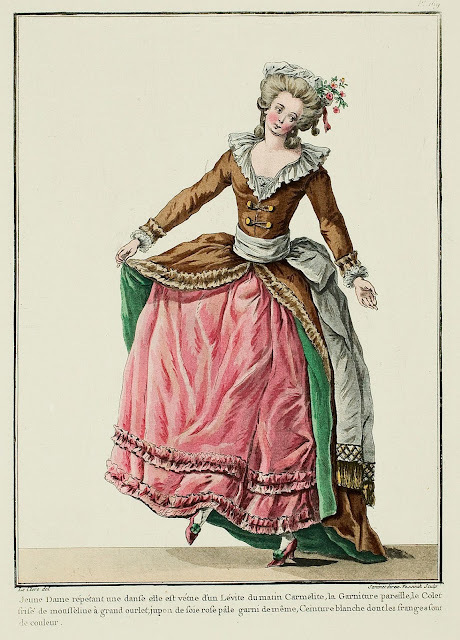 The women in the print below are dressed well, but not in robes parées.